It's pretty crazy that I'm getting married in less than 5 months. It feels like just yesterday it was the 90's and I was with my little sister, trying on our mom's wedding dress. We would sneak it out of the closet and take turns wearing it. We'd talk about our wedding day and how of course we would be each other's maid of honor. And now that day is almost here and I just can't believe it. Yesterday in my wedding planning update, I mentioned that I had (finally) asked my sister to be my maid of honor with a pretty box I made for her. I decided to document the steps I took to create it, plus I added some links to the products I used (and similar ones) so that you can make them for your bridesmaids too! These boxes are pretty easy to make, and don't require too many supplies. All you really need is a box, a glue gun, some flowers and some decorative tape. Let's get started! 1. Take your flowers off the stems, and save a few of the leaves for later. I picked the brightest leaves to save. 2. 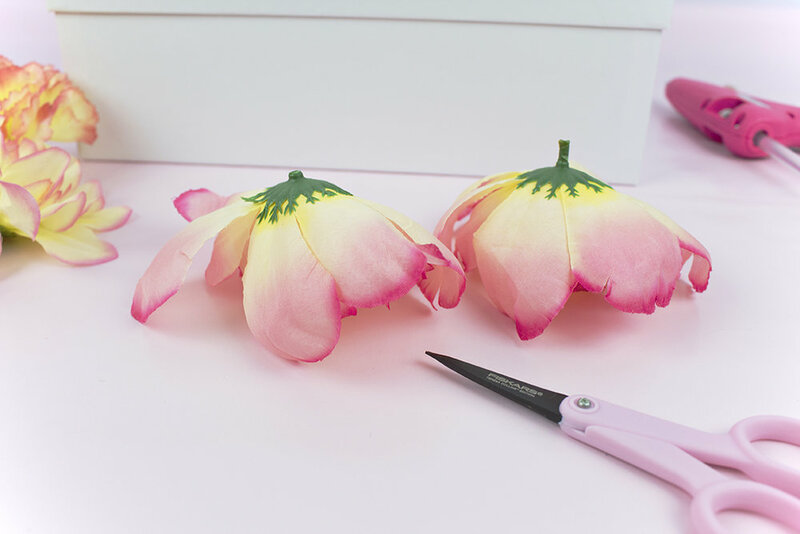 Using your scissors, cut the little stems off your flowers to make them as flat as you can. This will make them easier to glue onto your box. 3. 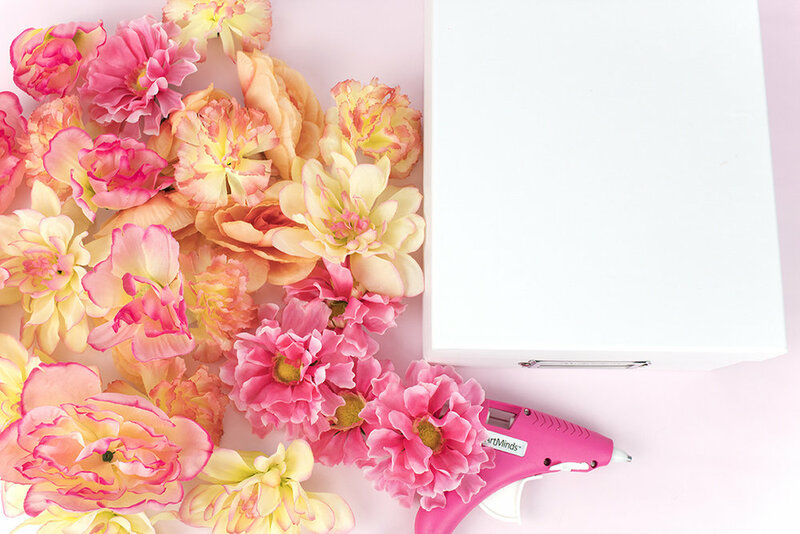 Using your glue gun, glue the flowers onto the lid. I mixed the smaller and larger flowers, as well as the different shades of pink. Try to fit them together as well as you can, like some sort of floral tetris. 4. Using the leaves, fill in any gaps. I wanted my box to be mostly flowers so I didn't use too many leaves, but you can put as many as you want. I recommend placing all the leaves in, taking a look to see if you like the look, then gluing them in. 5. Using your tape, wrap the perimeter of the lid to create a nice, neat edge with a pop of color. I used 4 smaller pieces of tape, one for each side, to ensure it would be nice and smooth. Then, take some tape and fold it over itself to fill the label. I used a sticker that said "party" that I found at Michael's. To dress up your Prosecco, take a piece of ribbon and wrap it around the neck of the bottle. Glue a flower onto it for decor. Sign your card with a loving and heartfelt note, and place your items inside the box. Then, give it to your bridesmaids and maid of honor! My sister was pretty happy, since she didn't think I would be officially asking her in a cutesy way. It made me so happy to watch her open the box and see all her reactions as she pulled each item out. WOOHOO! I now officially have a maid of honor. Now, onto the other 35687 things on my to-do list. How would you use this box? 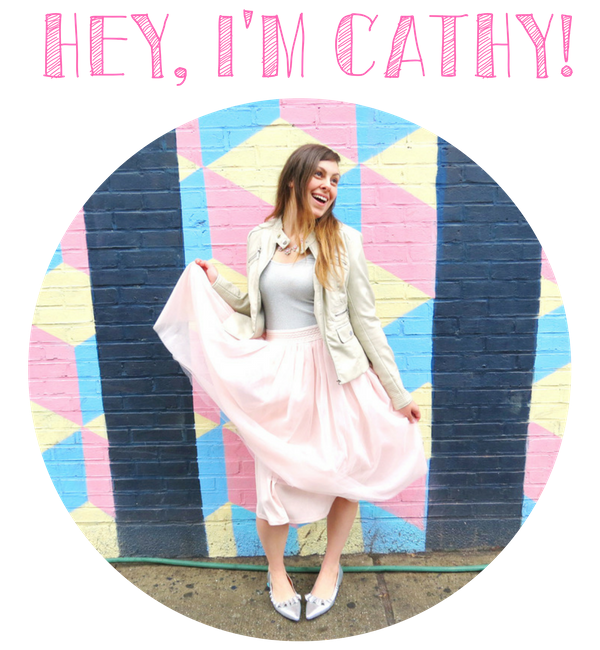 For a bridesmaid proposal, to hold a birthday gift, maybe for your mom on mother's day?! There are so many possible uses! 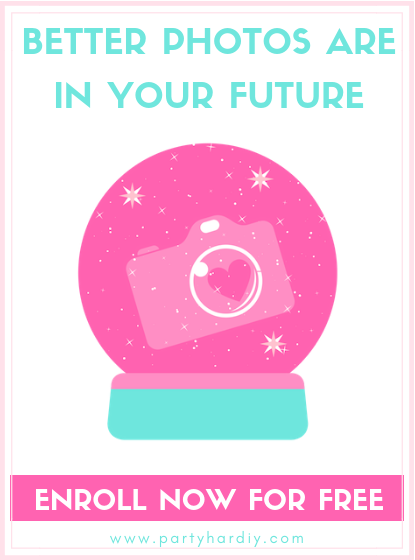 Are you doing a bridesmaid proposal box? What will you put inside? Let me know in the comments below!